Last month saw the global launch of the latest iPad Pro. And now, the launch date of the iPad Pro (2018) has been revealed in India. Two Apple premium resellers in India have said that the tablets will be going on sale starting Friday, November 16. The resellers have already started pre-orders in the country. Both the variants of iPad Pro (2018) — 11-inch and 12.9-inch — are available in 64GB, 256GB, 512GB, and 1TB storage options. The price of the 11-inch model starts at Rs 71,900, while that of 12.9-inch variant begins at Rs 89,900. The 256GB, 512GB, and 1TB storage variants of the iPad Pro 11-inch (Wi-Fi) cost Rs 85,900, Rs 1,03,990, Rs 1,39,900 respectively. On the other hand, the cellular version of the 256GB, 512GB, and 1TB storage variants of the iPad Pro (11-inch) bear a price tag of Rs 99,900, Rs 1,17,900, and Rs 1,53,900 respectively. Speaking of the 12.9-inch screen variant, the 256GB, 512GB, and 1TB storage options of the Wi-Fi version cost Rs 1,03,900, Rs 1,21,900, and Rs 1,21,900 respectively, whereas, the cellular version in the same storage options is priced at Rs 1,17,900, Rs 1,35,900 and Rs 1,71,900 respectively. 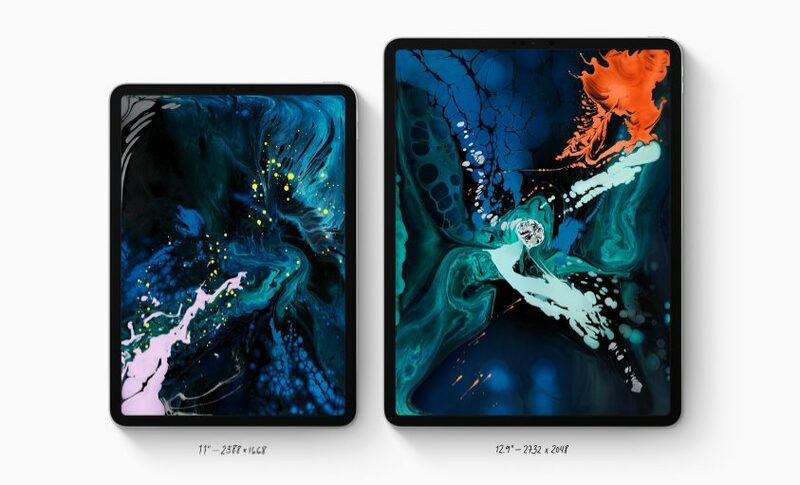 The iPad Pros are available on Maple Store and Unicorn Store. The former directs interested buyers to stores where they can make the purchase. And if you visit the latter’s website has the iPad Pros up on pre-orders. Both the stores have listed launch offers with up to 5% cashback on EMI via Citibank credit cards and Axis bank cards. A no-cost EMI plan from Bajaj Finserv is also available and both say that effective monthly cost of the iPad Pros starts at Rs 3,183. To recall, the new tablets by Apple are available in the above mentioned screen sizes and come with LCD ProMotion Liquid Retina Display panels. They are powered by Apple’s latest A12X Bionic processor and is available in the storage options we mentioned earlier. The new iPads also come with Face ID that is enabled by the TrueDepth camera and brings support for Animoji and Memoji.